Applications installed on your Mac can secretly use your web camera for malicious purposes. 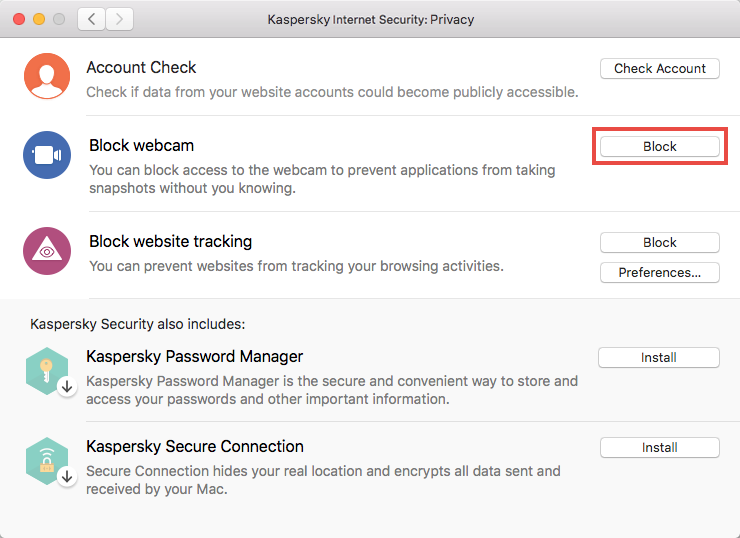 With Kaspersky Internet Security 19 for Mac, you can block unauthorized access to your web camera for applications. 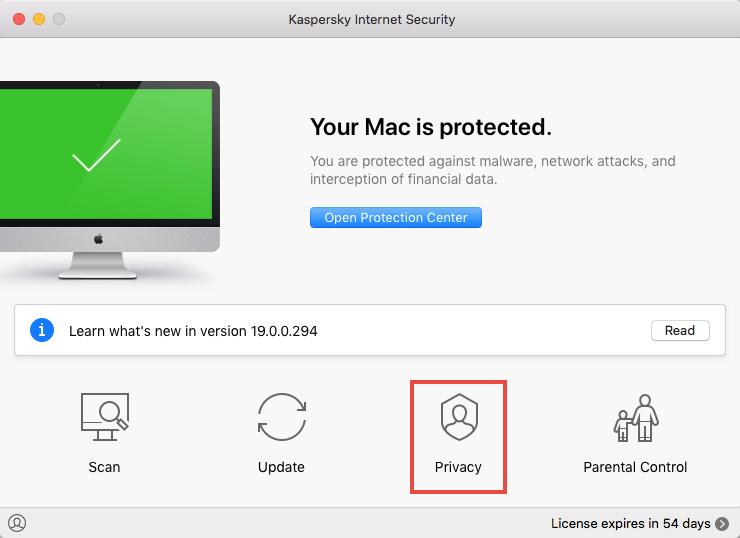 In the main window of Kaspersky Internet Security 19 for Mac, click Privacy.